Some TELSTRA Mobile Phone User Manuals PDF above page. 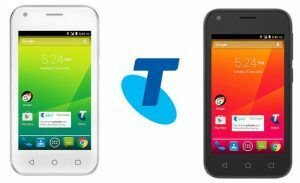 Cellular operator Telstra was the first wireless service provider in Australia and since 1986 has had a monopoly on the market, until in 1992 SingTel Optus, owned by Singapore Telecommunications, began reselling Telstra products. Competition in the market increased in April 2003, when H3G HTA launched the first 3G network. By that time, Telstra had launched its own 3G, a proposal based on the competing CDMA2000 1XEV-DO standard. In 2004, the H3G began to reduce tariffs, and Optus and Vodafone signed a general agreement and began to roll-up the unified W-CDMA network. Telstra, fearing that the slowdown of 3G can lead to a loss of market share, made large investments in the deployment of 3.5G-network at a frequency of 2100MHz. Thus, the first HSDPA platform of the country was launched in October 2006 (HSDPA platform - High-Speed Downlink Packet Access, also known as 3.5 G, represents the further development of the third generation cellular standards). The network, known as NextG, running at 850MHz, by December 2008, covered more than 99% of the country's population. By that time, Telstra had installed more than 6,500 base stations. In August 2008, Telstra allows the HTA affiliate to access the NextG network in areas where Telstra did not have its own interests. Formally, there were no reasons for this, but we can assume that Telstra was trying to increase the competitiveness of H3G's to weaken its main competitors - Optus and Vodafone (Manuals PDF page). 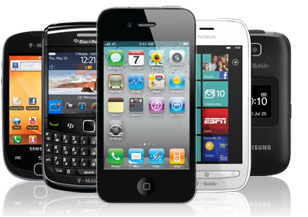 In addition, the company has a line of its phones and smartphones.